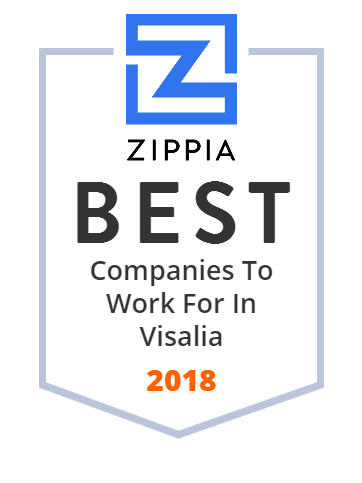 We hand-curated a list of the best companies to work for headquartered in and around Visalia, CA using data on salaries, company financial health, and employee diversity. The Tulare County Office of Education provides support and service to over 100,000 students in 43 Tulare Country School disctricts. Students, teachers, and adminsitratos alike benefit from the organization's commitment to providing the finest business, human resources, instructional and special services. College of the Sequoias (COS) is a public two-year community college in Visalia which is in Tulare County and California's San Joaquin Valley. The college is named for the Giant Sequoia trees native to the nearby Sierra Nevada mountain range. The Visalia Unified School District is a school district in Tulare County, California. San Joaquin Valley College (SJVC) is a for-profit junior college with fifteen campuses located in California, United States and an Online division. SJVC was founded in 1977 by Robert and Shirley Perry. SJVC is accredited by the Accrediting Commission for Community and Junior Colleges (ACCJC) of the Western Association of Schools and Colleges (WASC), an institutional accrediting body recognized by the Council for Higher Education Accreditation and the U.S. Department of Education. The Groppetti Auto Group is proud to offer customers a wide array of new vehicles. Whether you are looking for a Honda, Toyota, GMC, or Ford, we've got you covered! Call or visit us today to learn more. Pappas Telecasting Companies was a diversely organized broadcasting company headquartered in Visalia, California, United States. Founded in 1971, it was one of the largest privately held broadcasting companies in the country, with its stations reaching over 15% of all U.S. households and over 32% of Hispanic households. Apart from owning and/or operating many television stations, the company formerly had two radio stations in its possession, KTRB AM 860 and KMPH-AM 840-changed from KPMP in June 2006 to reflect its nearby sister/flagship television station, Fox affiliate KMPH-TV, both in Fresno, California. Are you looking for that perfect place for Mom & Dad to be cared for? A place you can trust & feel confident they are getting the best care you can provide?